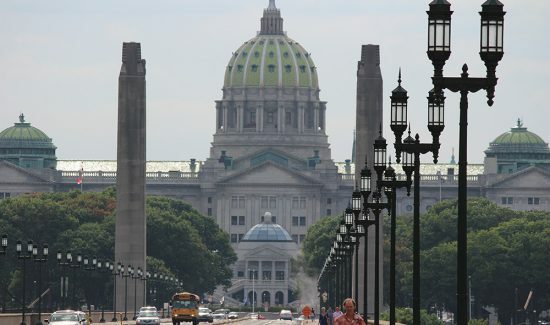 HARRISBURG, PA – The Pennsylvania Chamber of Business and Industry today applauded Senate lawmakers for their attempt to restore funding for vital government programs while sticking to their position on fiscal restraint. On Wednesday, Aug. 19, the Senate fell just three votes short of overriding several line-item vetoes made by the governor in a recently adopted &quot;bridge’ budget (S.B. 850) that enabled state workers to collect paychecks during the ongoing budget impasse. The Senate’s efforts would have restored funding to PHEAA, day-care services and numerous social service programs that could curtail or end services within weeks without state funding. Barr also reiterated the business community’s call for a responsible state budget that does not impose higher taxes or bigger government on taxpayers. &quot;The business community and all who truly understand what’s at stake for the Commonwealth over the long-term appreciate the efforts of lawmakers who recognize that Pennsylvania cannot tax and spend its way out of recession and into prosperity, and who understand that fiscal restraint is needed now more than ever,&quot; he said. The Pennsylvania Chamber of Business and Industry is the state’s largest broad-based business association, with thousands of members statewide. More information is available on the Chamber’s website at www.pachamber.org.